What Does An Effective CMS Look Like? An effective Compliance Management System (CMS) remains a requirement for lending institutions. But what does a CMS actually need to have to meet both regulator's and your lending partner's needs? A sound CMS is not only a requirement, it's good for business too. It can proactively reduce your organization's risk by helping fix internal issues before they blow up into something that's costly. Download this CMS Cheat Sheet to learn what is required to create an effective CMS. Regulators expect every entity to have an effective Compliance Management System, or CMS. A good CMS can proactively reduce your company's risk by helping you meet the variety of regulatory requirements. It can also shine a light on problems that may be a symptom of deeper issues within your organization. More importantly, it can fix those issues before your bottom line takes a big hit. 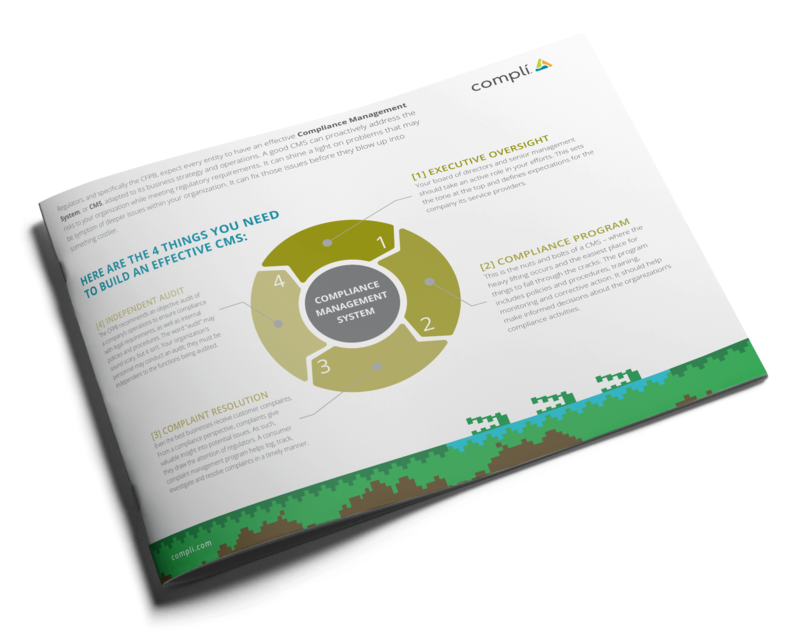 Download this free Cheat Sheet to learn the 4 things you need to build an effective CMS. Build your CMS the right way to stay out of the crosshairs of regulators.